Last week, DJI hosted a number of our top dealers from the UK, Germany, Switzerland, and France to our HQ in Shenzhen, China. It was the first time in China for many of them, and even the first time in Asia for some, but all had a great time. These lucky visitors were among the first dealers in the world to get hands-on experience with the new DJI Inspire 1. Jaws dropped, eyes opened with awe and everyone had an incredible time testing it out, both in our HQ flight room and outdoors. This gave them a chance to really see how the indoor stabilization system works and how the whole system handles the stresses and strains of advanced flying. Each dealer also had time to meet with representatives from DJI to discuss their work as a DJI dealer and the issues they face day to day. This has helped us learn a lot about their side of the business, helping us learn how we can better support each other. 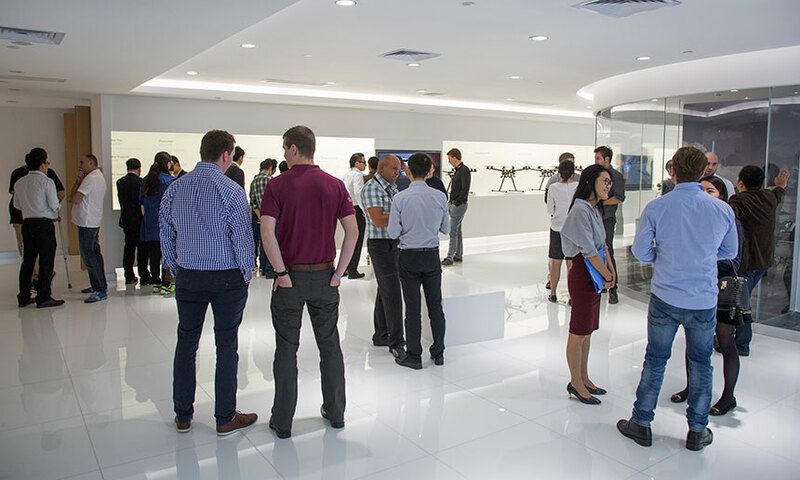 They also had a chance to learn about DJI's activities and plans for the future, allowing us to collaborate more seamlessly. From these discussions we are certain that both their businesses will continue growing from strength to strength. Overall this was a great experience for everyone at DJI and also the dealers who came to visit. We look forward to inviting more dealers from other regions in future.